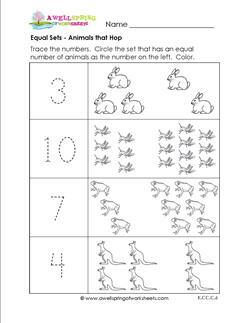 Our comparison worksheets for kindergarten cover the age-old ideas of equal sets, greater than and less than, and more and less. 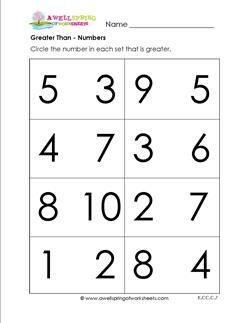 The worksheets compare number to number, objects with numbers, and objects to objects. Of course, counting skills are required, but some kids who are have excellent counting skills may be be able to pick out the correct answers just by looking at them without counting each item out one by one (this is called subitizing). 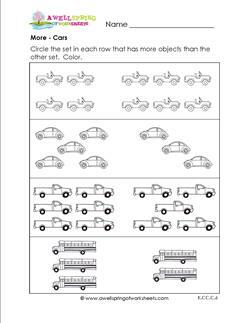 Please go to this page to choose from all the comparing sets worksheets on this site.